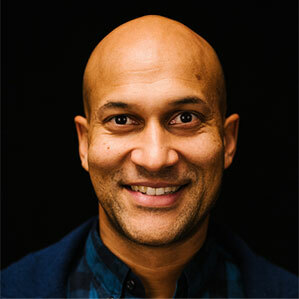 Keegan-Michael Key, throughout his career has redefined what it means to be a chameleon in the worlds of film, television, and theater. Key is the co-creator and co-star of Comedy Central’s “Key & Peele” with Jordan Peele for which he has been nominated for five 2015 Emmy Awards as well as a 2016 Screen Actors’ Guild Award nomination. In the past few years Key has played memorable roles in the films Vacation, Pitch Perfect 2, Horrible Bosses 2, and Let’s Be Cops. He recently starred in and co-produced Keanu, released by Warner Bros. Key will next be seen in Mike Birbiglia’s Don’t Think Twice opposite Gillian Jacobs opening on July 22, 2016, and then in Why Him? starring alongside Bryan Cranston and James Franco opening this December. Key was named among TIME magazine’s “Most Influential People of 2014” and ENTERTAINMENT WEEKLY’s “Entertainers of the Year of 2012.” Key is a veteran of Detroit and Chicago’s Second City Theater and received his Bachelor’s Degree in Fine Arts from The University of Detroit Mercy and his Master of Fine Arts in Theater from Pennsylvania State University. 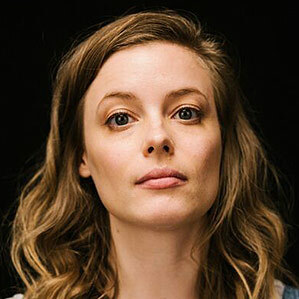 A natural talent, with a striking presence and undeniable energy, Gillian Jacobs is one of Hollywood’s most vibrant young actresses. Jacobs recently wrapped production on season two of LOVE starring opposite Paul Rust. Produced by Judd Apatow, LOVE follows ‘Mickey’ (Jacobs) and ‘Gus’ (Rust) as they navigate the exhilaration and humiliations of intimacy, commitment, and other things they are hoping to avoid. Additionally, Jacobs can be seen in DEAN opposite Demetri Martin. The film premiered to great acclaim at the 2016 Tribeca Film Festival and went on to win the festival’s Founders Award for Best Narrative Feature. CBS Films will distribute the film domestically; a release date is yet to be set. Previously, Jacobs starred in the critically acclaimed comedy COMMUNITY. She was nominated for a Broadcast Television Journalists Association Award in the category of “Best Comedy Supporting Actress” on behalf of her performance as “Britta.” Additionally, the show won a Broadcast Television Journalists Association award in the category of “Best Comedy Series” in 2012. 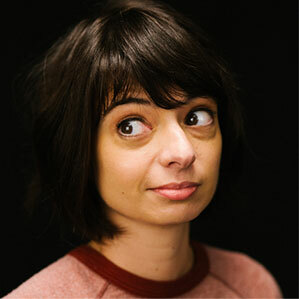 Jacobs was also seen in the fourth season of the HBO hit series GIRLS as fan-favorite ‘Mimi Rose Howard’. Mike Birbiglia is a comedian, writer, actor, and director known for his highly personal approach to comedy. One of the busiest working comedians, he serves as creator, writer and star of the upcoming film Don’t Think Twice and also recently completed a 100-city tour with his stand-up show, “Thank God for Jokes”, which he then turned into an off-broadway show at The Lynn Redgrave Theater. In 2012 Birbiglia burst onto the scene with his Sundance award-winning directorial debut Sleepwalk With Me. 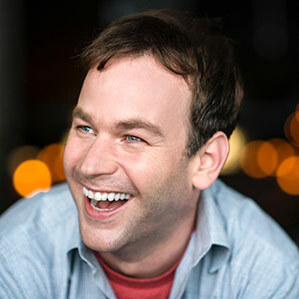 Birbiglia started as a stand up comedian and has reached the height of his field- an international touring solo theater act who blends elements of theater, film, storytelling, and standup comedy. Birbiglia’s first one-man show “Sleepwalk With Me” was presented by Broadway legend Nathan Lane. His second one-man show “My Girlfriend’s Boyfriend” won the Lucille Lortel Award for outstanding solo show and toured concert halls around the world. His literary debut “Sleepwalk with Me & Other Painfully True Stories” was a New York Times bestseller and was a finalist for the Thurber Prize For American Humor. As an actor, Birbiglia has appeared in Netflix’s Orange is the New Black, HBO’s Girls as well as films such as Trainwreck, The Fault in our Stars, Digging For Fire, Cedar Rapids, Going The Distance and Your Sister’s Sister. 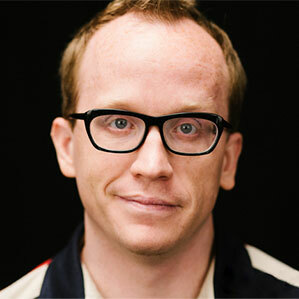 Chris is the host and star of “The Chris Gethard Show” now in its second season on Fusion. He can also be seen as ‘Todd’ on Comedy Central’s “Broad City”and the new season of “Inside Amy Schumer“. Other credits include NBC’s “Parks and Recreation”, “The Office”, and the film “The Heat”. 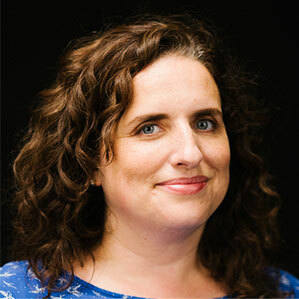 Chris is also host of the popular Earwolf podcast “Beautiful Stories From Anonymous People” and is author of the book “A Bad Idea I’m About to Do”.